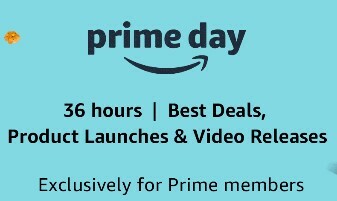 Amazon Prime Day Sale – Amazon is offering Prime Day Sale for prime members. In this Amazon Prime Day Sale customers will get up-to 80% Discount deals and cashback on Debit/Credit card transactions. Sale will live from 16th July 2018 at 12 PM. Users can join Amazon Prime Monthly Subscription at Rs.129 to enjoy best deals. Prime day launches 200+ new products from top brands like Intel, BOSCH etc. Listen & Win an Echo Dot every day on listen Amazon Prime Music.